OWNERSHIP is not the final step of our spiritual growth process, but rather a mark of your maturity as a Christ-follower. This step is in addition to weekly worship, community involvement and regular serving at Black Rock Church. At this stage you should be “owning” your own growth and inviting others into the process. This may involve attending a seminar, deeper Bible Study, going on a mission trip, attending a conference, participation in a local outreach, evangelism, discipleship etc. Check below for current Ownership opportunities. Join us for a one-night event, Friday March 15, 7:00 -900 pm. 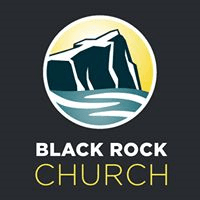 This will be a night for women from all walks of life to gather together to worship, learn how to connect and engage with other women at Black Rock, and be encouraged by one woman’s testimony. This is a free event, but we ask that each woman bring their favorite homemade dish to share. If you have been wanting to invite a friend to Black Rock, but have been waiting a time to do so, this will be a perfect night to bring her. You may notice people praying at Black Rock in a way that is completely new or different from your previous experiences. If you desire a deeper connection with God but aren't sure how to start, come to our "Discovering Prayer" class offered every 4th Sunday of the month at 10:00 am in the Prayer Room. Discover how to pray to the God who hears and answers!